YouTube seems to have an endless supply of films on Harpers Ferry. 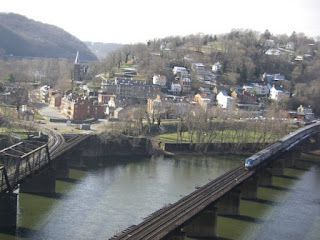 This one is from WV public television and is pretty recent in age. 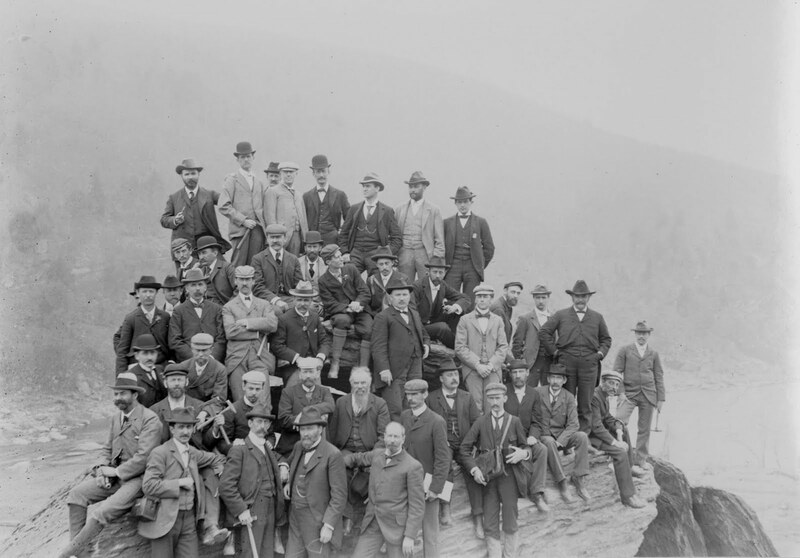 It begins with the roots of the town and finishes with John Brown's hanging. 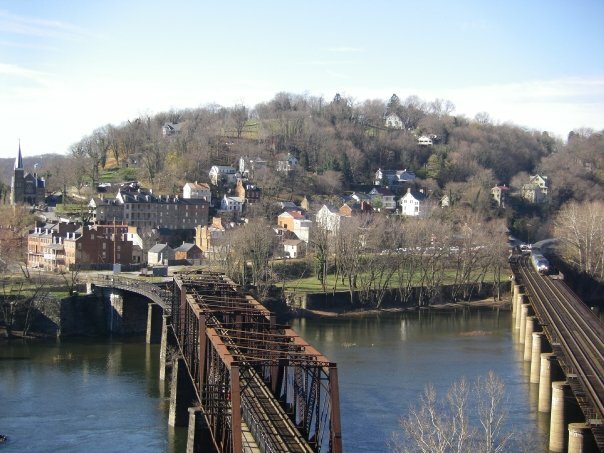 Panoramic shot looking downstream from the town. 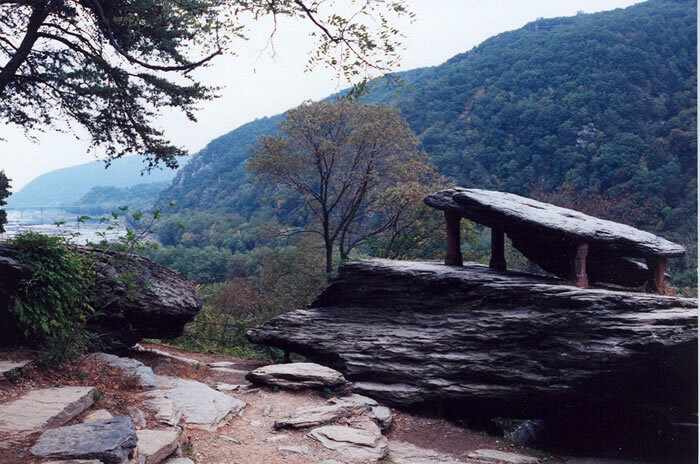 Looking down the Shenandoah toward the gap. 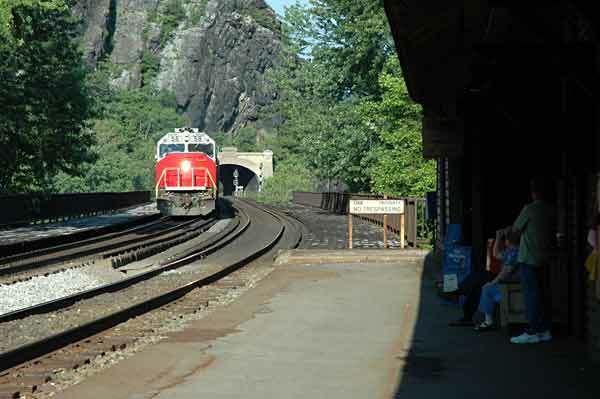 A nice train shot with the cliffs in the background. 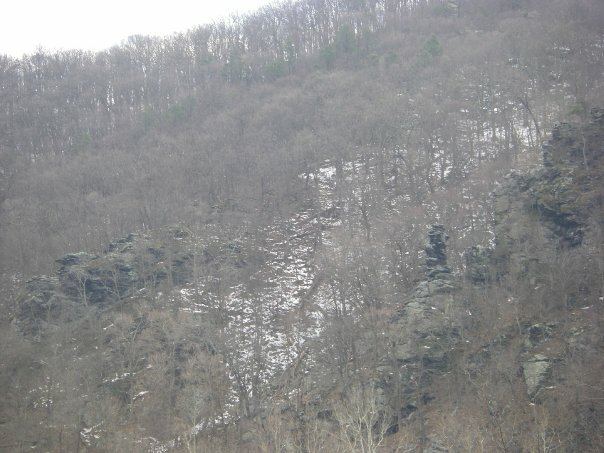 Looking at the main cliffs. 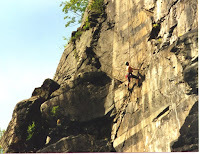 I believe this shot if from the 1970's. Main cliffs in the background. 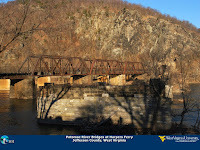 Looks like a winter time shot late in the day. Probably taken yesterday, just kidding. 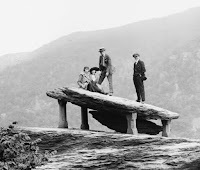 This is a Civil War period photo. 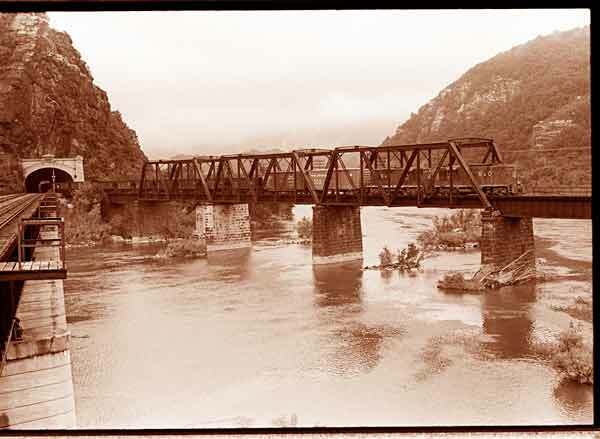 Another Civil War period photograph. 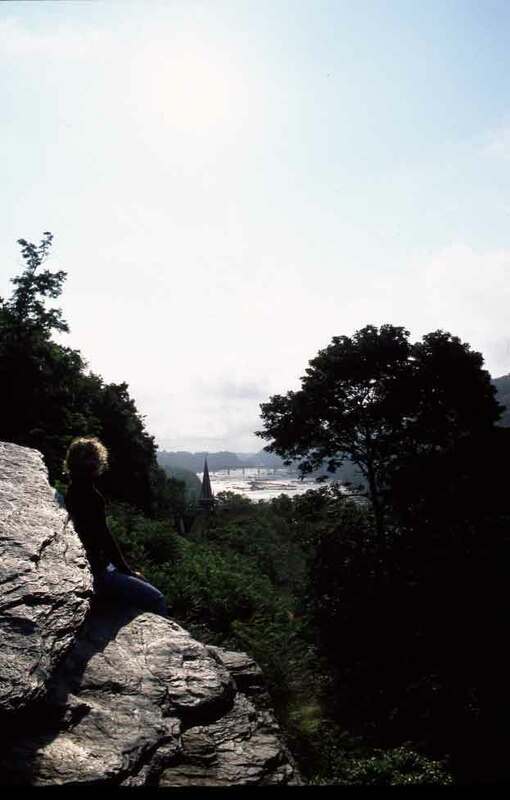 I think this is a 1970's shot from John Van Horn. 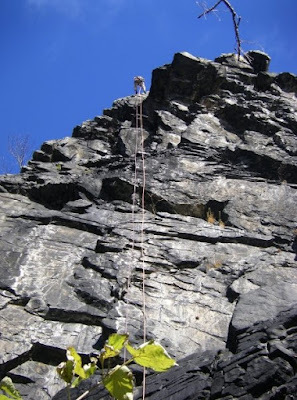 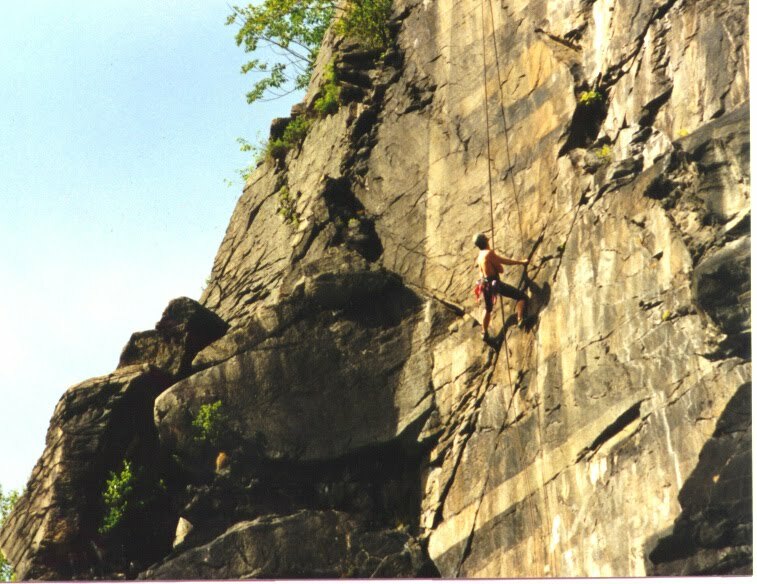 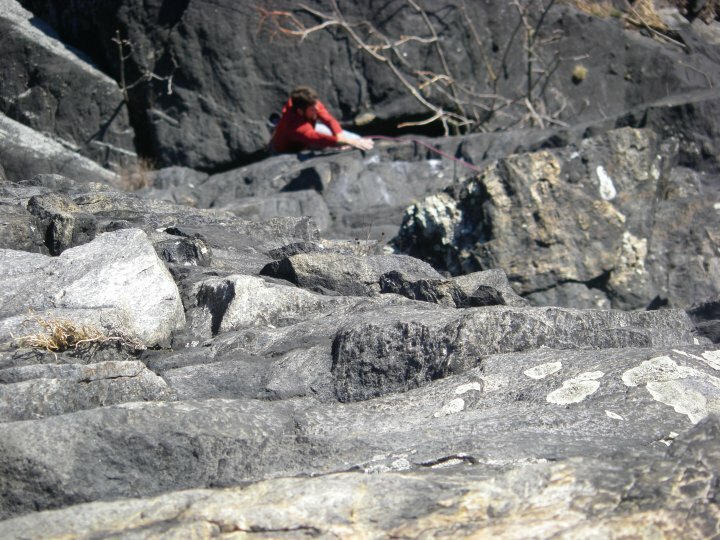 Climber on the Main Face of Maryland Heights. 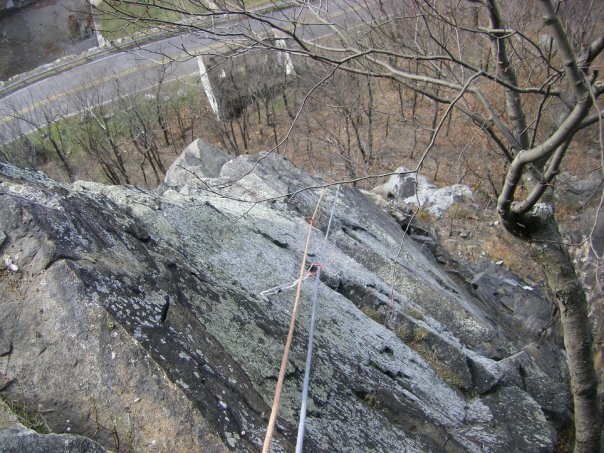 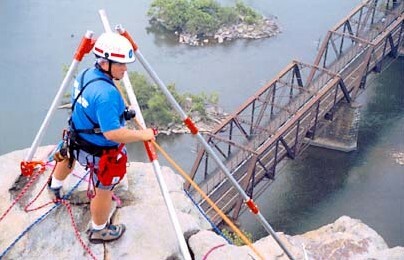 Image of a practice rescue on top of Maryland Heights. 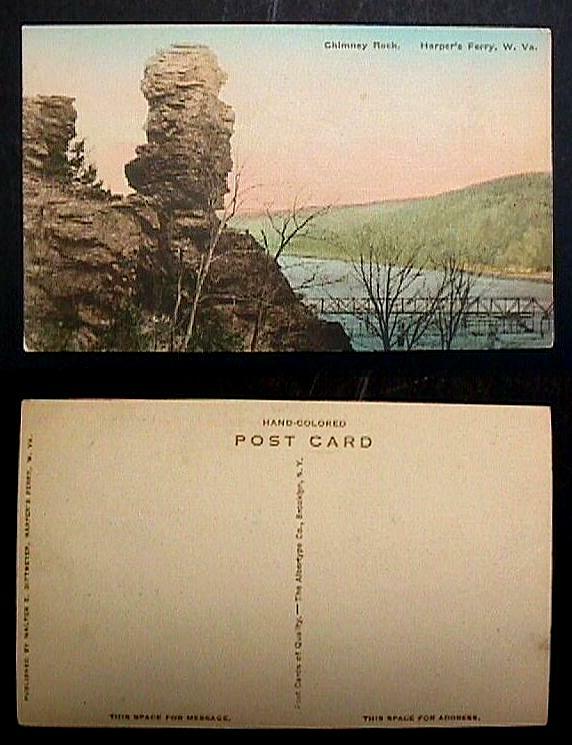 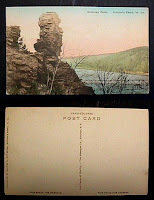 An old post card featuring "Chimney Rock" which is the freestanding pillar on Maryland Heights. 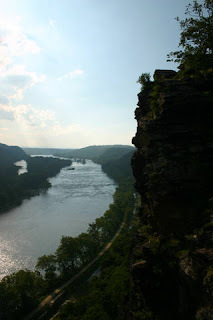 There is also one on the West Virginia Side of the gorge. 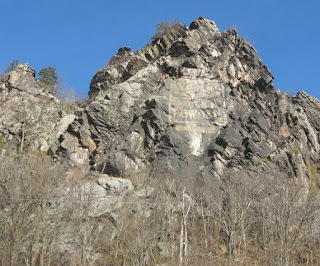 Now to the famous Jefferson Rock. 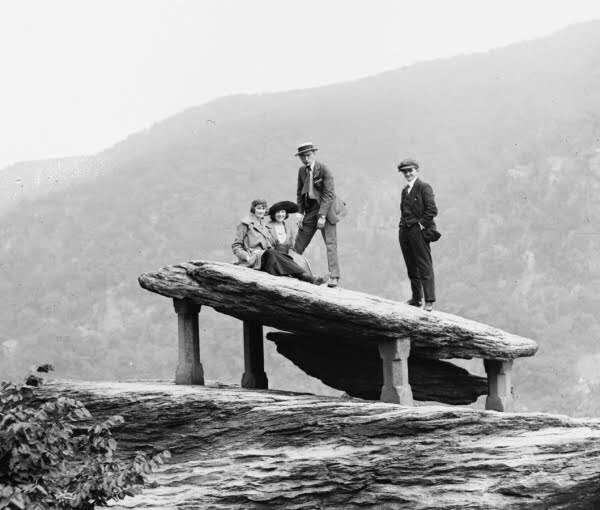 A very crowded Jefferson Rock. 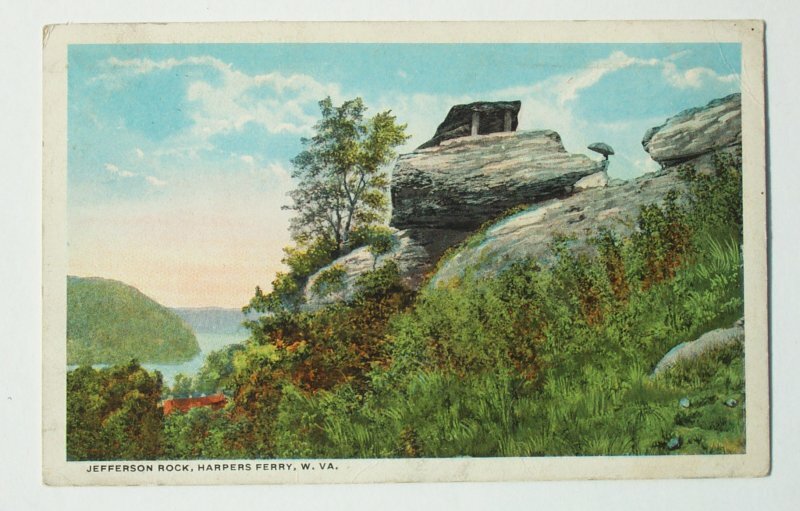 An old postcard of Jefferson Rock. 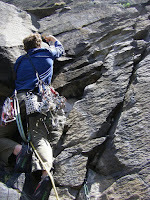 "Sick Pursuit" 5.11/12 is under neath the giant boulder Jefferson Rock sits on. 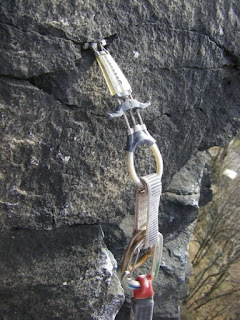 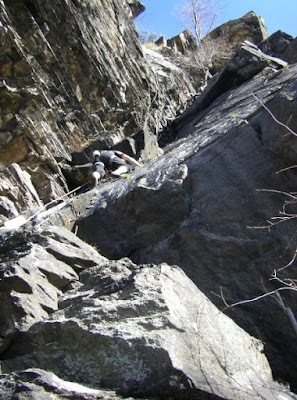 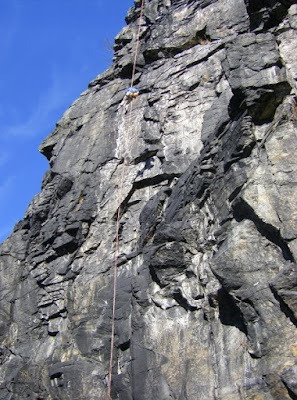 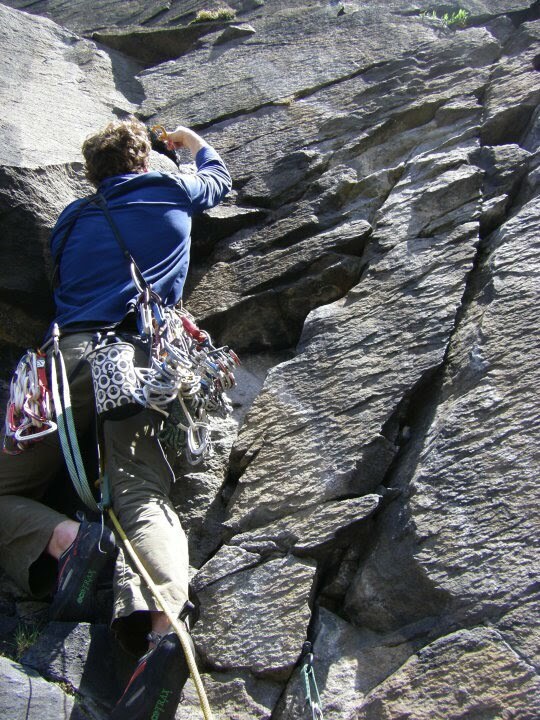 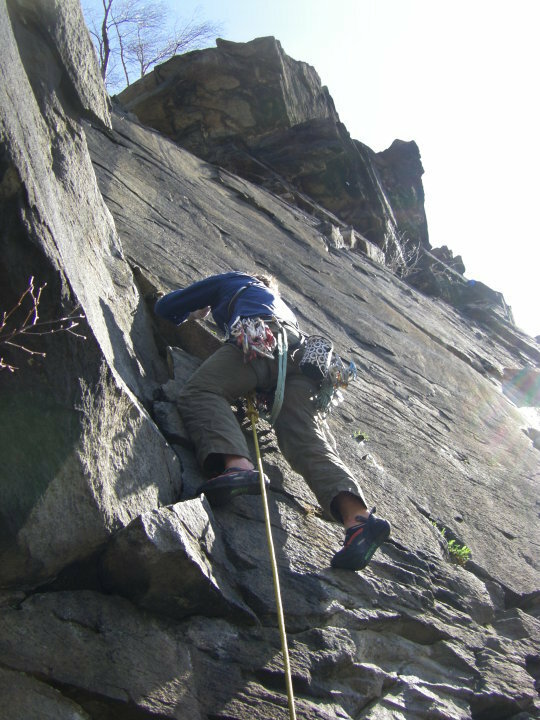 It is a roof trad crack climb. 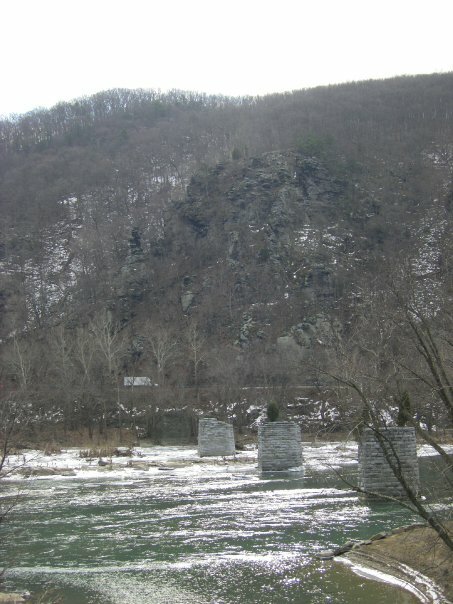 Looking downstream on Jefferson Rock. 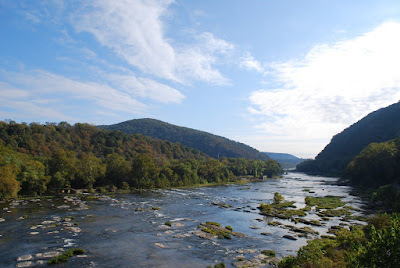 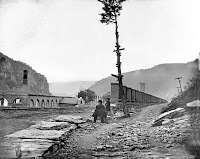 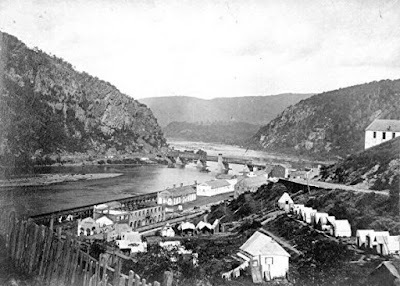 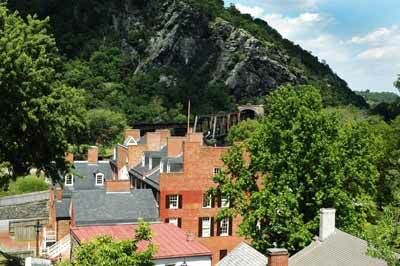 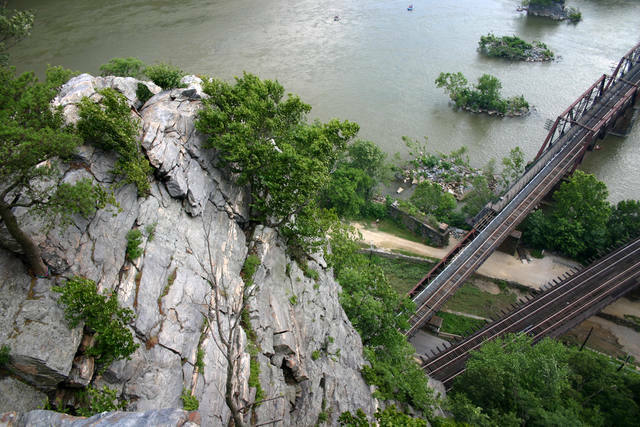 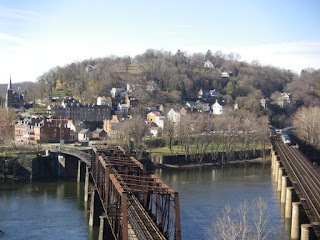 Sometimes all I want to do is see the rock in Harpers Ferry. 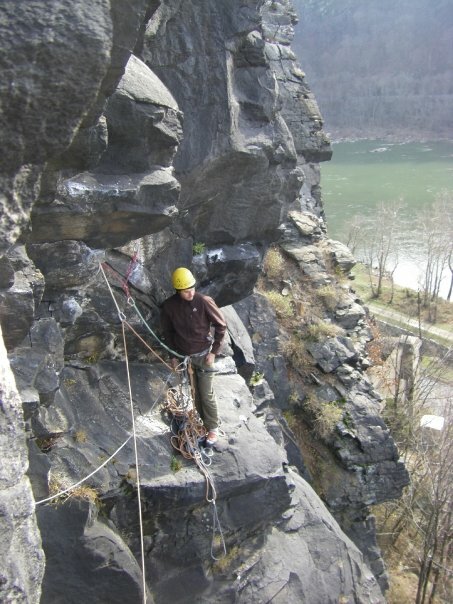 The area is so beautiful and I love rock climbing anywhere in the gorge. I did a quick search for some photos I hadn't posted or seen before. Here is what I came up with. 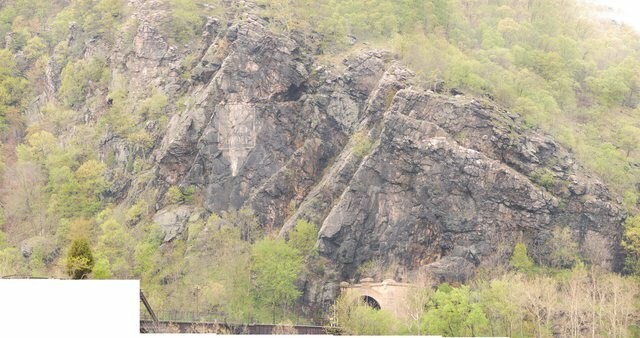 All of these photos are of the Main Face. There is so much more climbing and so many more cliffs than the most visible one (the Main Face) that shows up in all the tourist photographs. 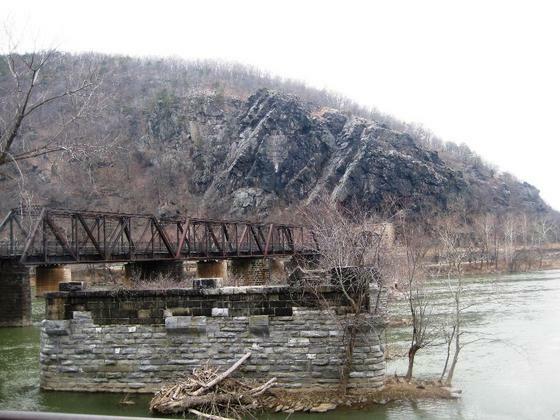 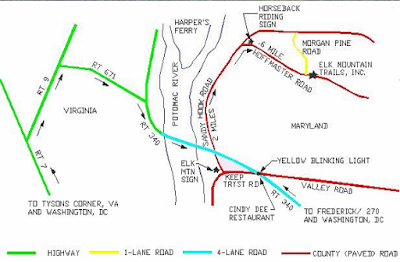 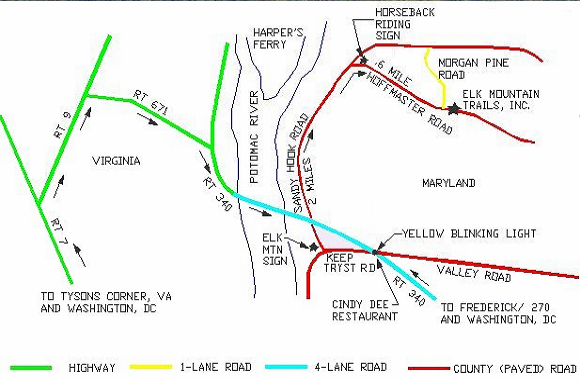 How about some Horseback Riding right in Harpers Ferry. 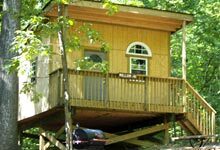 This website has some great links to camping, hotels, etc. 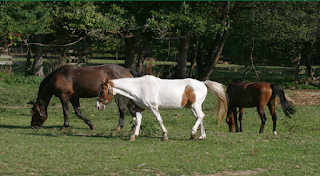 and riding packages on trails around Elk Ridge. 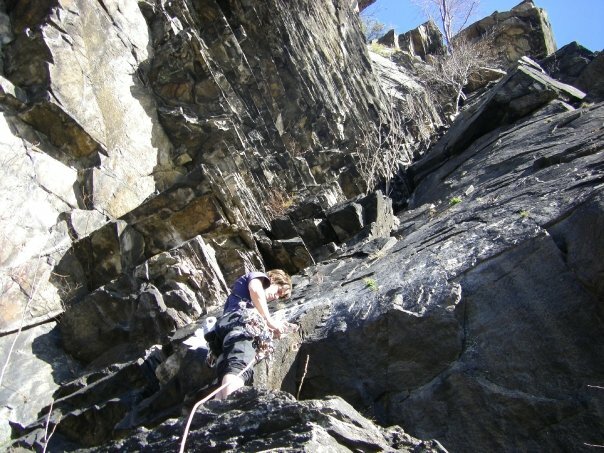 Looks fun to me and a perfect rest day activity. 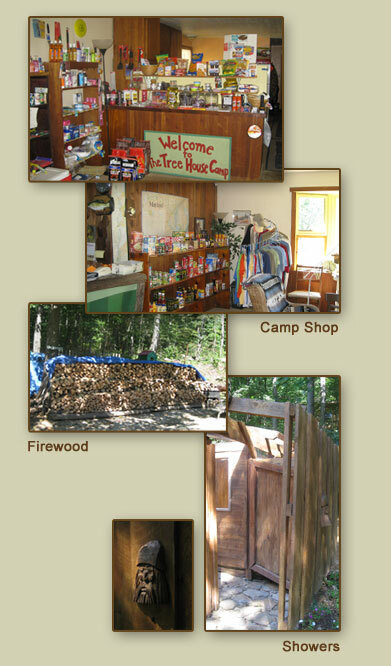 Check out the Maple Tree Campground website. 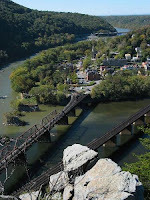 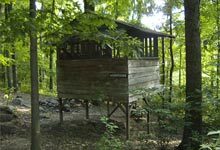 They have tent camping, tree house camping, all kinds of fun stuff and it is just 10 minutes from Harpers Ferry. 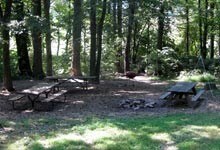 This spot is within a 1/4 mile of the Gapland parking area for the Blair Witch Area. Nice pic of some ice in Harpers Ferry. 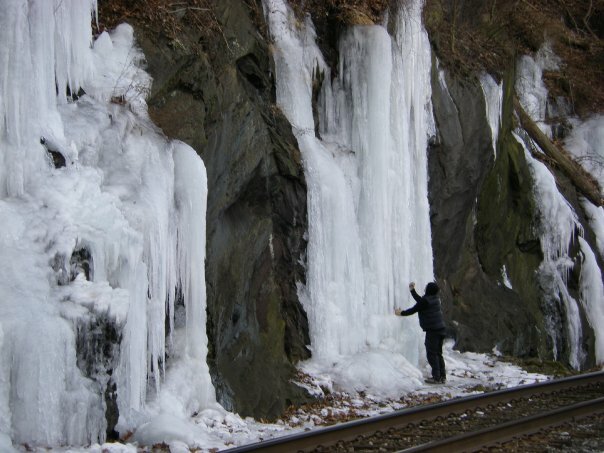 Unfortunately there are a couple stories floating around the internet about climbers being arrested for climbing the ice over the railroad tracks. It's a real shame we don't have better access to the ice since it shows up every year a cold snap hits. 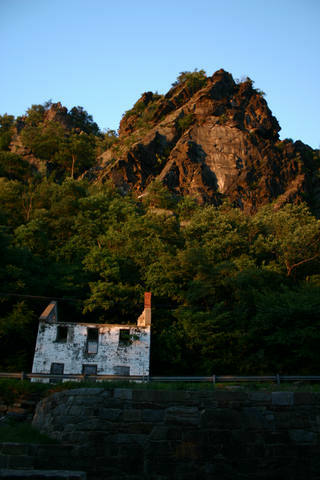 It's for good reason though. 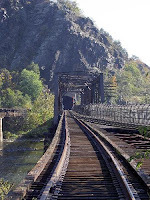 The train tracks through Harpers Ferry are very active. 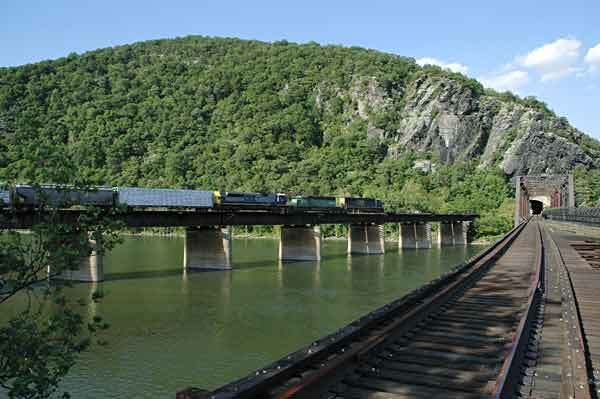 At times it seems trains come through every 20-30 minutes for hours on end. 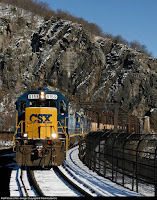 Below are photos from Carl Orr. 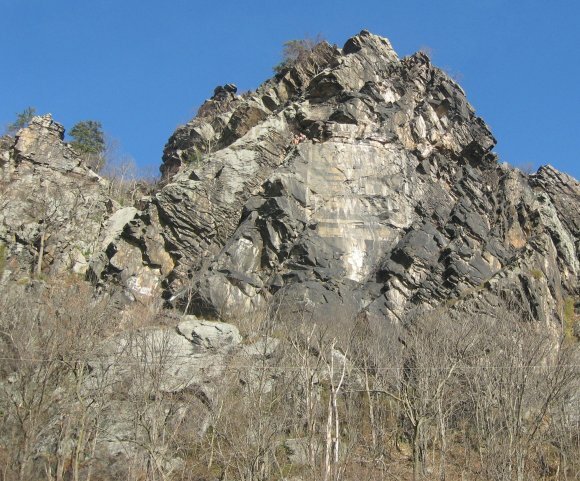 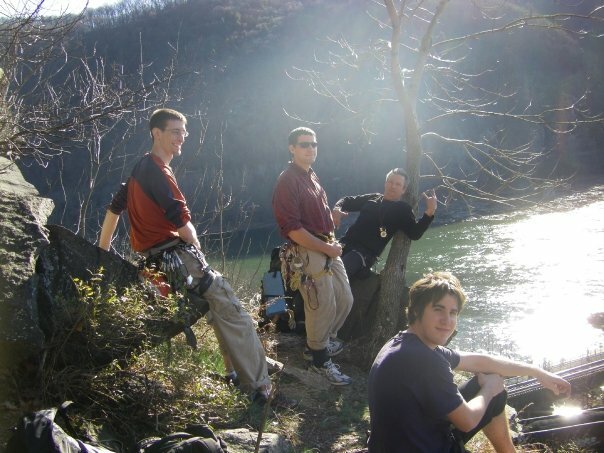 They are from different seasons of climbing at Harpers Ferry.